We are so excited to announce the addition of a ‘Personalized Elopement Planning + Design’ package to our range of Wedding Planning + Design services in British Columbia. This package is exclusively available in the Sea To Sky Corridor (Squamish, Whistler, Pemberton + anywhere in between). When Petite Pearl Events Owner + Creative Director, Jessica Minnie, moved to Squamish, BC with her family at the end of 2018, she immediately started to receive requests to plan + design elopements in the picturesque coastal mountains that is now her backyard. After doing some market research, she quickly realized that there was a definite gap in the market for this type of service. What she found was disappointing cookie cutter elopement packages with subpar photography + feedback from local vendors that no one was offering a personalized + beautifully styled experience for eloping couples. ENTER the Petite Pearl Events ‘Personalized Elopement Planning + Design’ package! This is our first all-inclusive package. 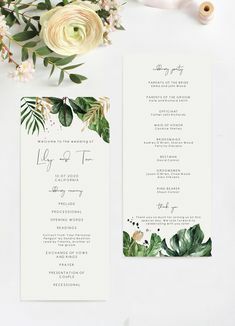 For one set fee, our ‘Personalized Elopement Planning + Design’ package includes experienced planning + design by Petite Pearl Events, a picturesque ceremony venue of your choice (mountains, forest, river, ocean – you name it), beautiful photography suited to your preferred style, florals, decor, officiant, hair, makeup, bubbly, dinner reservation, styling, set up, coordination + strike. Spring, Summer, Fall or Winter. 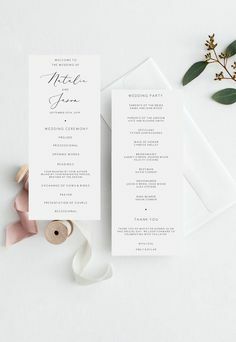 In addition to styling your ceremony site, the elopement package includes the styling of your dinner table at the chosen restaurant or location. Petite Pearl Events now carries an ever-growing curated inventory of hand selected table decor pieces in an intimate quantity (flatware, napkins, napkin rings, candle holders, placemats etc) which are all included within the elopement package for our exclusive use in designing a one-of-a-kind stunning tablescape for our eloping couples + a limited # of guests. Details photos by Christie Graham. There is so much more room for personalization + creativity with intimate weddings so we are beyond excited to launch this package. We cannot wait to create an unforgettable experience for couples who are looking to keep it simple, but do not want the beauty + the details to be compromised. To book or receive more information, please inquire via our website. We cannot wait to hear from you! Natasha + Jamey’s edgy industrial wedding is proof that lofty dreams really can come true! We knew right away that to exceed this creative bride’s expectations we need to go BIG, and so we did -pulling out all the stops by hanging 3 sections of suspended greenery “table runners” each over 50ft long and designing a one-of-a-kind, show stopping ceremony backdrop. By collaborating with some of our favourite creatives, Elizabeth Stanley Event Design and Celsia Floral, we were able to create a stunning 20+ft suspended copper pipe + greenery backdrop that was completely custom, all the way from the design concept to creation. The final look was accomplished by creating an unexpected and modern table design which used a mix of black, copper + cement accents along with minimalist and organic custom stationery from Cornwall Stationery to pull it all together. Captured by Daring Wanderer Weddings. See full gallery + vendor list here. Every detail carefully curated to create a story. Overgrown. Organic. Freshly Picked. 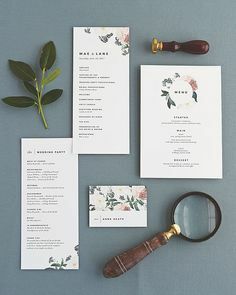 From the nature journal inspired menu, herbarium specimen place settings, to a dramatic hanging floral installation, our botanist styled shoot takes you on a journey through the studies and findings of a botanist. Captured by Justine Milton Photography. Beeswax Candles | Noble & Co. Hair + Makeup | Nadia Albano Style Inc.
See more of our work here! Elizabeth van der Bij - Just drooling over the green velvet loveseat!! For those of you following along on our various social media sites you’ll already know that I’ve been living between Vancouver and London, UK for the last year and a half. In early 2017 my other half, Mike, (not to be confused with my forever-work-wife, Jessica) was offered a great opportunity to relocate temporarily to his company’s London office. I stayed in Vancouver through 2017 working with my awesome couples + corporate clients, flying to London between events, but made the choice to take most of 2018 off so that I could finally join Mike here full time… well at least until the end of the year! The universe is a funny lady though, and just as we were starting to make plans for the move home she turned the tables on us with an incredible new job offer for Mike here in London. We thought loooooong + hard about this but in the end ultimately decided to jump on the opportunity and see where this crazy adventure might lead us next. I am both super thrilled, and equally bummed, to announce that despite my best laid plans I will not be moving home to Vancouver in the new year… which means that I also won’t be taking on any new clients in the Vancouver area for the foreseeable future. However, this is not a goodbye post! Instead, it’s a chance for me to tell you about a very exciting new chapter in my life and the life of Petite Pearl! You guessed it, we’re going INTERNATIONAL!!! London and the UK to be exact, bring on those chic city soirees + romantic countryside celebrations! And hey, you want to meet-up in the hills of Tuscany or on the beaches of Mallorca instead to create the wedding of your dreams, you know I’ll be game! Ok yes the rumours are true…we are officially moving to Squamish this Fall!!!! We completely outgrew the city condo life and desperately needed more space for our wild toddler to run free as well as take the pace of life down a notch. This is how we felt even BEFORE having an unexpected whirlwind of a year…a.k.a. my husband Dylan’s completely freak accident head injury at the start of June. So yea, it’s safe to say we are SO READY FOR THIS CHANGE! Dylan + I had started looking for our next home earlier this year before we put our condo on the market but then after Dylan’s accident we had to put things on hold a bit. Finally just a couple weeks ago we found our little dream home, offer made, offer accepted and BOOM! We CANNNNNNNNOT wait to make it our own. Me in particular…take any little sleep I’m currently getting during wedding season and fill it with a mind full of home renovation, organization + design ideas and pretty much yea no sleep at all happening these days. Squamish just feels so US and in a way we feel like we’ve come full circle after having our wedding at the Sea to Sky Gondola back in February 2016 (a few film stills shared in this post). Both Dylan + I grew up in small towns and we’re most excited to once again HAVE A DRIVEWAY. Ok maybe that’s just me…mom + wedding planner life with a building parkade is HELL! So what does this mean for Petite Pearl Events and how will it affect our current + future bookings? It really won’t have any affect at all EXCEPT that I am now a local Sea to Sky Wedding Planner!!!! We’ve always serviced the Sea to Sky corridor – I’ve planned + executed some of my all time favorite weddings in both Squamish + Whistler, but I’ve now officially started to focus my personal wedding bookings in + around Squamish, Whistler + Pemberton. We’ll be in the city a tonne – when Dylan gets back to work he’ll be commuting to the city a few days a week + I’ll be making regular trips in for various meetings as well as the weddings I’ve already booked in the city for the rest of this year + next year. The rest of the team will remain based in the city, continue to focus their bookings to Vancouver and surrounding, and assist wherever required. Business as usual + the best of both worlds! Of course we’re still always willing to travel so Vancouver Island, Sunshine Coast, Okanagan + beyond are still a definite yes! Very exciting times on the horizon. If anyone has any Squamish recommendations – we would love to hear!